Looking for the ultimate in obstacle course challenges? 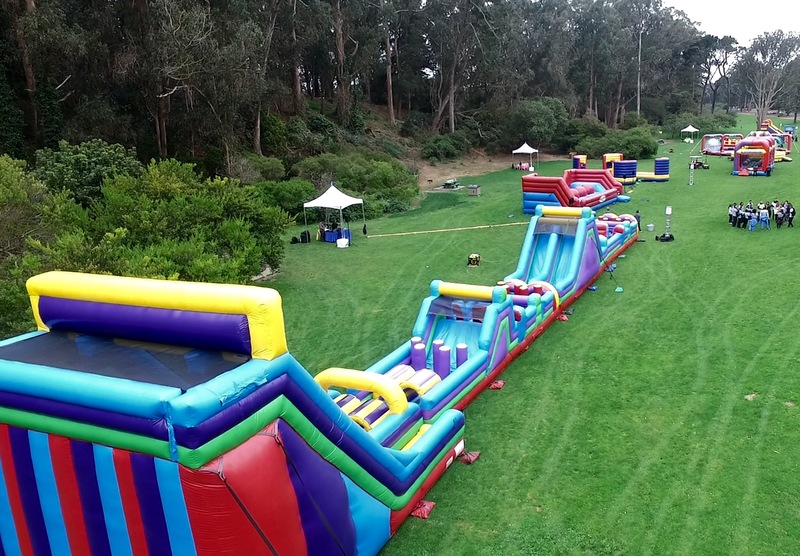 Look no further than The Beast Inflatable Obstacle Course. 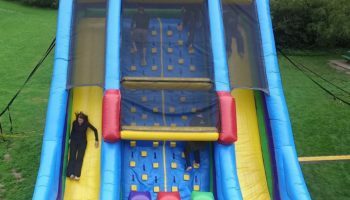 Aptly named, The Beast Inflatable Obstacle Course is the biggest inflatable obstacle course around. At a whopping 130 feet long, The Beast presents challengers with tunnels, pop ups, rock walls, and other obstacles. Do you have what it takes to challenge and defeat The Beast? The Beast Inflatable Obstacle Course is best challenged with a friend in a race to the end. 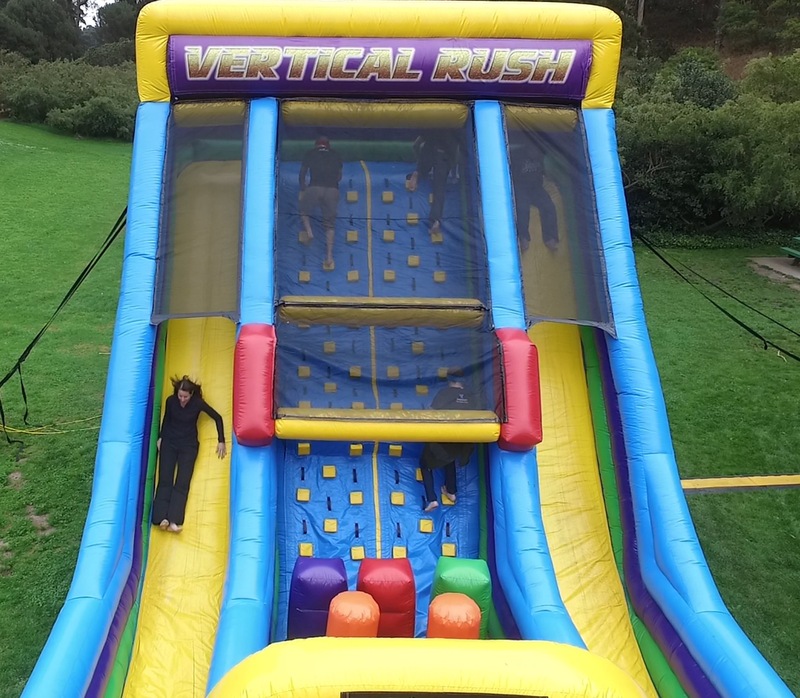 Push, jump, or run over the obstacles as they come up and try and beat your friend to the huge twenty-two foot slide at the end of the obstacle course. This is also a perfect opportunity for video or pictures. Have another friend to follow you along the side of The Beast to record your run. Don’t forget to get a picture of you at the very top of the final slide! Show everyone that you conquered The Beast! You can also go through slowly by yourself or with a buddy if you don’t want to race. It is always a fun time, no matter how you decide to conquer The Beast! 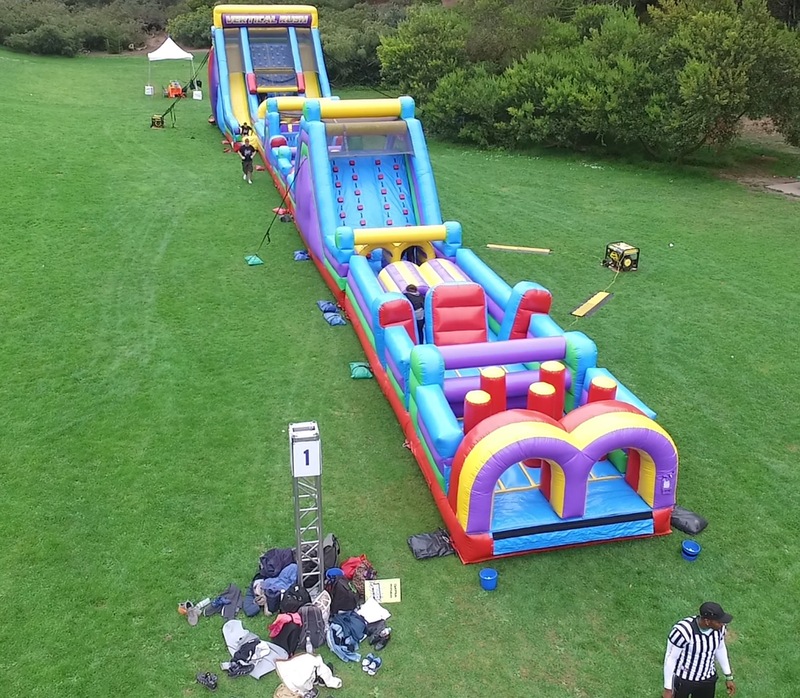 The Beast Inflatable Obstacle Course is one obstacle that no one will ever forget. It is always a major attraction at every event and brings in many viewers and participants. Two people can run through The Beast Inflatable Obstacle Course at a time, but runs through The Beast are quick and help to keep everyone moving through quickly. 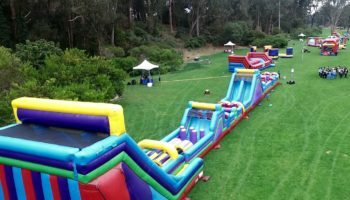 We deliver The Beast Inflatable Obstacle Course to anywhere in the Monterey Bay area, the greater San Jose area, the San Francisco Bay Area, and Northern California. 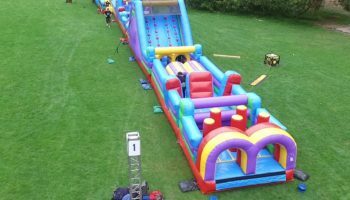 So give us a call today to book The Beast Inflatable Obstacle Course and get ready to show the world that you can beat The Beast!